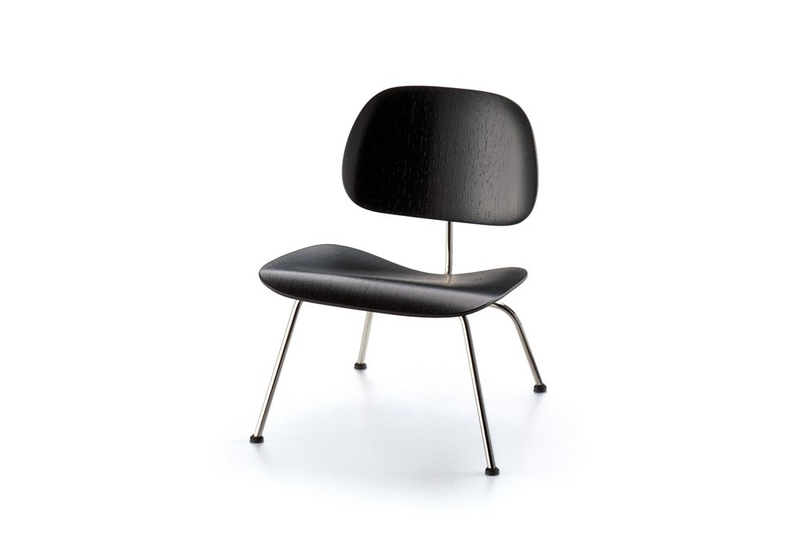 Vitra Miniature LCM, Eames: Charles Eames and Eero Saarinen designed a chair in 1940 with a new type of three-dimensional preshaped plywood seat for a competition held by the New York Museum of Modern Art. 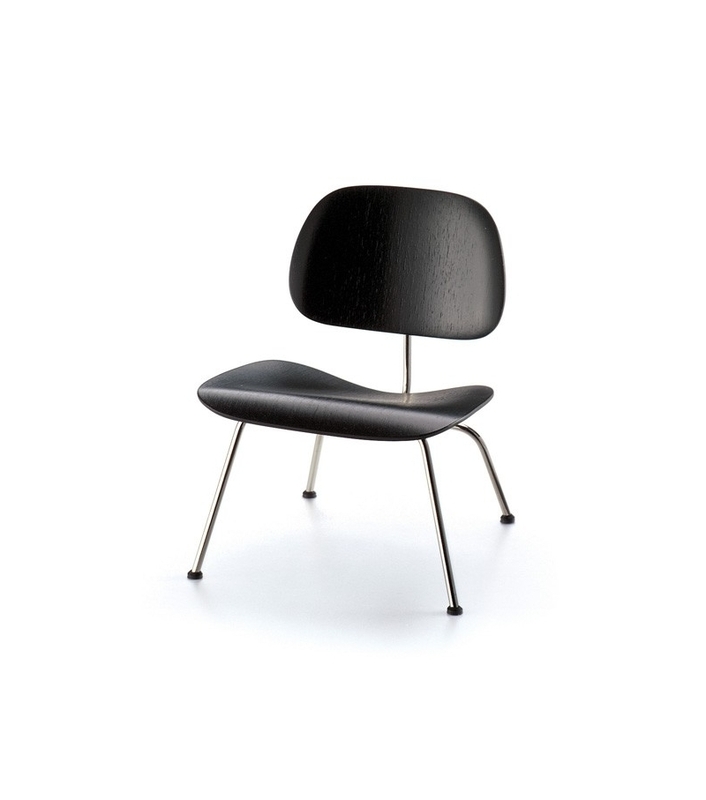 Vitra Miniature LCM, Eames: Charles Eames and Eero Saarinen designed a chair in 1940 with a new type of three-dimensional preshaped plywood seat for a competition held by the New York Museum of Modern Art. 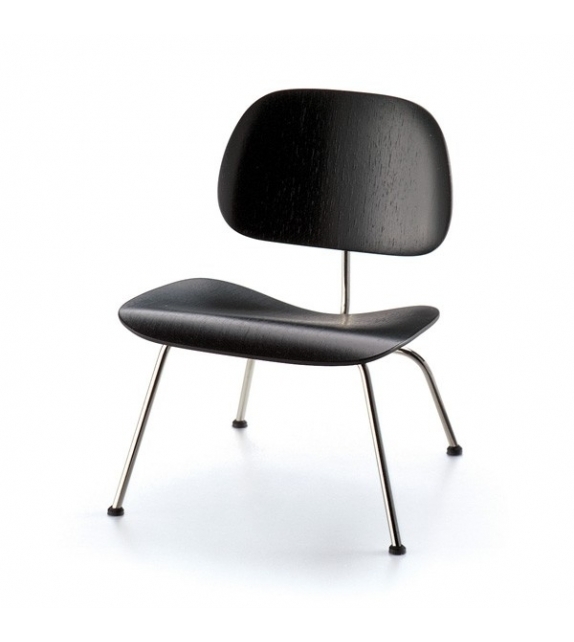 The chair did not go into production owing to a lack of technical know-how. It was very rare back then for plywood to be successfully pressed into a three-dimensional shape. In the years that followed, Charles and RayEames concentrated on developing a process that enabled plywood to be shaped as they wanted. The »Plywood Chairs« DCW (Dining Chair Wood), LCW (Lounge Chair Wood) and the versions with metal legs, namely DCM (Dining Chair Metal) and LCM were the result of these years of experimentation. In 1945 Charles and Ray Eames again took up the idea of a seat made of formed plywood without, however, coming up with satisfactory solutions. As a consequence, they rejected the idea of a multifunctional seat and decided to treat seat and back as separate, freely articulated elements that were linked with each other via a backbone – the frame. Each component is thereforereduced to a clearly defined function which it fulfills with a minimum of materials being used. The rubber »shock mounts« glued onto the wood enable the seat and back to be connected to the frame.